A long long time ago, before I worked at Urban Yarns, discovered Ravelry, met Emily, and started Tin Can Knits, I took a field trip to a wee yarn dying studio in Vancouver called SweetGeorgia. I was just starting to expand my knitting horizons and and Felicia was dying up amazing vibrant colours – I was an immediate fan! The SweetGeorgia colour range, studio, and team have grown since then. Felicia now has a big studio and her yarn can be found at LYSs everywhere. A lot has changed, but the commitment to unapologetic colour is still going strong! Felicia was good enough to tell us a bit about how she came to the world of yarn and colour, and how she balances running her business with being a mum. Colour is something that has always been a significant influence on my life. My father is a painter and printmaker, and I spent my childhood growing up around his oil paints and Pantone markers while also teaching myself to knit and sew my own clothes. During university, outside of my studies in Pharmaceutical Sciences, I spent all my time and energy as a competitive ballroom dancer. Being a poor student with an expensive dance lifestyle, I ended up sewing all my own ballgowns and costumes. You can’t be a wallflower in competitive ballroom dancing, so much of my colour aesthetic was influenced by the jewel-toned and saturated colours that we wore to capture the judges attention. After university and six years of dancing, I tried to satisfy my thirst for colour by building a career as a graphic designer and web developer. I picked up knitting again and it sparked an interest in learning to spin my own yarn and dye the wool fibre for it. Learning to dye really deeply spoke to my obsession with exploring all kinds of colour and it became my focus for the blog and later, SweetGeorgia Yarns. Well, I constantly wonder how other people do it! It has absolutely been a challenge, finding that balance between all the different roles I play and my responsibilities to each. When I’m with my son Russell, I want to be able to truly be present with him — no phones or email. And when I’m with my husband, family or friends, I want to be present and focused on them too. But this leaves very few hours to get things done for myself or my business. The greatest challenge has been finding the time and space to think. Creativity plummets when you are sleep deprived, exhausted, or run down, so carving out time to rest, think, design, and plan has been important. Above all, I think my relationship with time is different now… I simply feel like every minute makes a difference now and so I try to be more careful how I use those minutes! 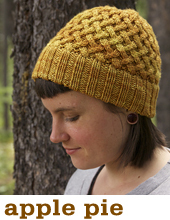 Felicia was one of our first supporters here at Tin Can Knits so we have had ample opportunity to work in her stunning yarns over the years. Our most recent pairing is the Tulips shawl or blanket. Tulips is a classic triangular lace shawl with flowing lace that leads to an edging reminiscent of spring tulips. We knit the shawl in the fabulous Cashsilk lace but you could also knit it as a lacy blanket in worsted. 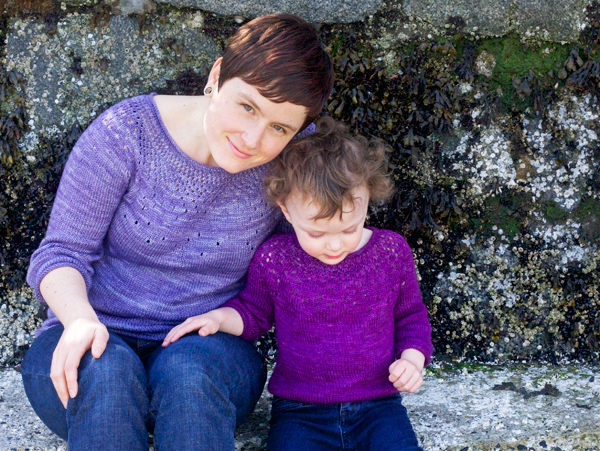 One of our most popular patterns in SweetGeorgia yarn is the Raindrops pullover. 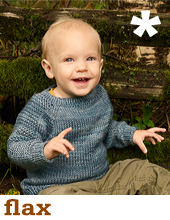 We designed the grown up version in Merino Silk Fine and the kiddie version in Tough Love Sock. Originally released as two separate patterns, Raindrops now comes sized from baby to big all in one! 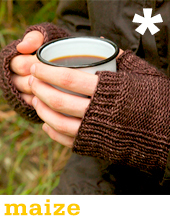 If you already have the pattern, check your email or Ravelry for the updated version. A big thanks to Felicia for all the wonderful support! These colors – amazing! Thank you for the interview! I love to read crafter’s stories! You start looking at their work from more personal point of view. And it’s amazing how each has a unique way how he/she came to her craft!